You are currently browsing the The Pet Product Guru blog archives for the day Saturday, April 6th, 2019. Spring Time is Here, Does Your Lawn Care Include Pesticides? If you are planning to use pesticides or fertilizers on your lawn, you must think about the affect they may have on your cat or dog. 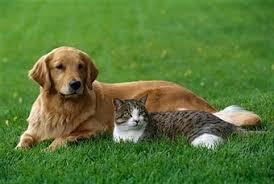 Keep your dog or cat (if he goes outside) inside for at least 24 hours after applying any chemical to your lawn. If he must go out, keep him on his dog leash and away from the treated areas. There’s no need to panic. 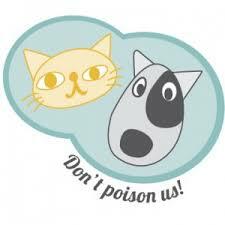 If applied properly, these chemicals can irritate your dog or cats paws but they rarely can poison a pet. Clean up any pesticide spills. A puddle of the stuff could be dangerous to your pet. Please note that research had shown an increase in cases of lymphoma in dogs that were exposed to the herbicide 2 4 D. Make sure that you read all of the labels and take the proper precautions. It’s another weekend. EDGEWATER GOLD RADIO is cranking out the oldies. 50s 60s 70s and 80s all the time. Join us for a 60s and 70s weekend. Ask Alexa to “Play Edgewater Gold Radio” or listen from our website: Edgewater Gold Radio.com. add comment Comments Off on Spring Time is Here, Does Your Lawn Care Include Pesticides?